Easter is fast approaching and we are getting ready to indulge in all things chocolate. What can be better than a glass of your favourite wine paired with chocolate? But how do you pair chocolate with wine? The most obvious choice when it comes to Bordeaux and chocolate pairings is, of course, Sauternes – the most famous Bordeaux appellation for sweet wine. However, there is more to sweet Bordeaux wines than Sauternes, and there is more to pairing Bordeaux with dessert than exclusively ‘sweet Bordeaux.’ For example, as unusual as it may seem, the rich, voluptuous, densely-flavoured Bordeaux reds from the Right Bank are often excellent choices for dark chocolate based desserts as those wines can effectively and deliciously cut the richness of a dark, almost bitter chocolate dish. Milk chocolate, as the name would suggest, is made by adding milk to cocoa and sugar, and it reigns supreme as the most popular option for Easter chocolate. When drinking wine with milk chocolate, we suggest either an unoaked or very lightly oaked red Bordeaux or a Côtes de Bordeaux. 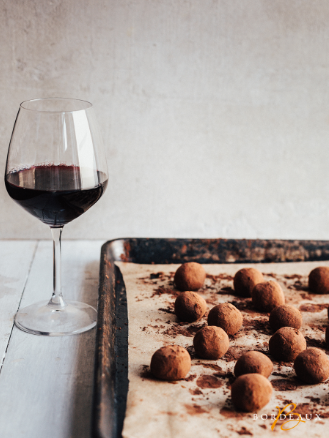 Light and fruity – there’s something about a young red wine that just goes perfectly with milk chocolate. 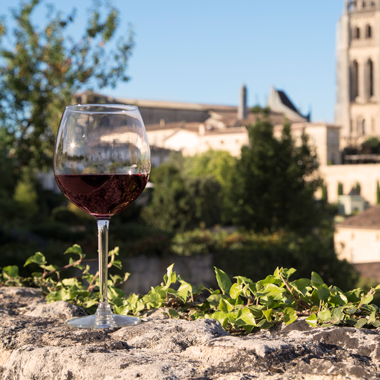 Why not try Château Sissan from the Cadillac Côtes De Bordeaux region, easy-drinking wine with a cherry fruit character and a hint of vanilla. 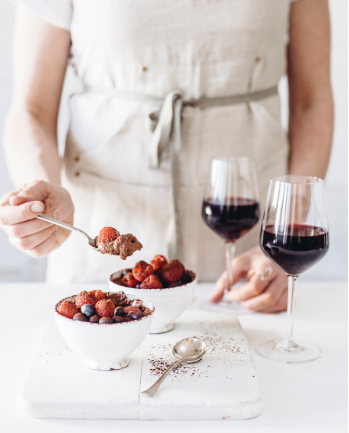 This may almost sound too obvious but red wines often – but not always – pair well with red fruit-based desserts and white wines regularly pair well with white or lighter-coloured desserts. Dark chocolate contains antioxidants, little to no milk, and is relatively low in sugar, giving it a reputation as the chocolate most beneficial for one’s health. 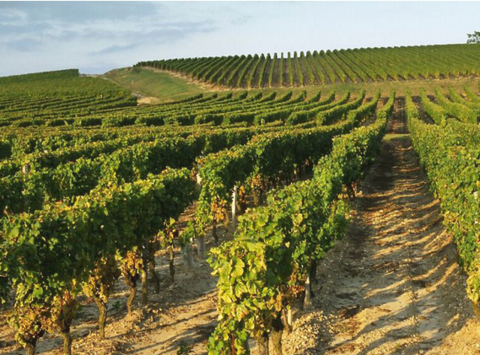 We like to pair dark chocolate with a deeper, richer Bordeaux from the Côtes region. Focused and pure with silky tannins, these wines have sweet, ripe, dark red fruits notes and often exhibit a hint of liquorice or chocolate (!) on the finish, making them a natural partner for the ‘healthy’ chocolate. Château Jouanin from Blaye Côtes De Bordeaux appellation would work really well here. This wine is rich and ripe, with sweet blueberry fruit and supple tannins – dry on the finish and finely balanced. Finally, there’s white chocolate: made from sugar, milk, and cocoa butter (the lack of cocoa solids is what renders it white), it’s an effective alternative to traditional chocolate styles. 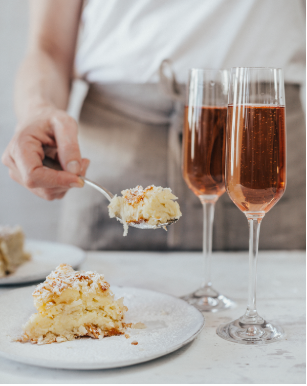 We find that white chocolate is best enjoyed with something light and bubbly like a rosé Bordeaux sparkling wine, such as Calvet Crémant rosé. These delicate pink wines have a refreshing mouthfeel, creamy mousse, and lively bright red fruit flavours that bring out the best in white chocolates.